I don’t know about you, but for me everything feels so much better when the sun shines. Although we haven’t had the coldest of winters, it has felt long this year. When the first yellow heads of the daffodils began to appear I was more than ready for spring, but it took its time, didn’t it? For us, in West Berkshire, Wednesday was the warmest day I think we’ve had so far this year, and it was wonderful. The sky was blue and cloudless and there was just the faintest of breezes, enough to rustle only the lightest of leaves. 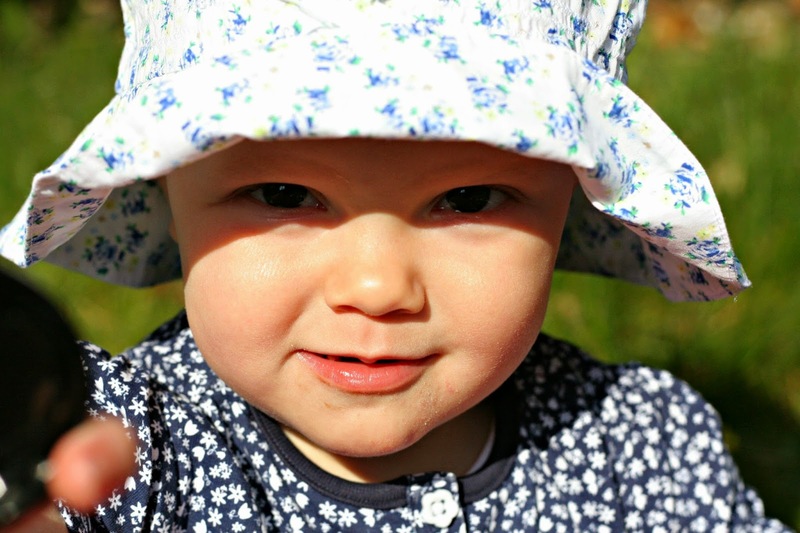 I wrote recently about how tough I am finding things with Rosalie at the moment – she’s turning into quite a strong-willed little girl. 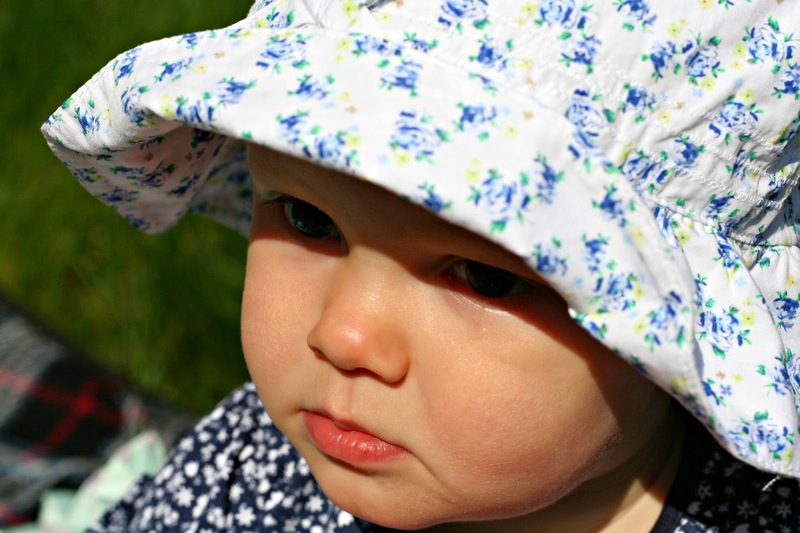 So these moments of fun in the sunshine really were just moments, but I’m glad we had them, and that I captured them, so I can look back and remember the best times in even the toughest of weeks. look back and realise they were the big things. 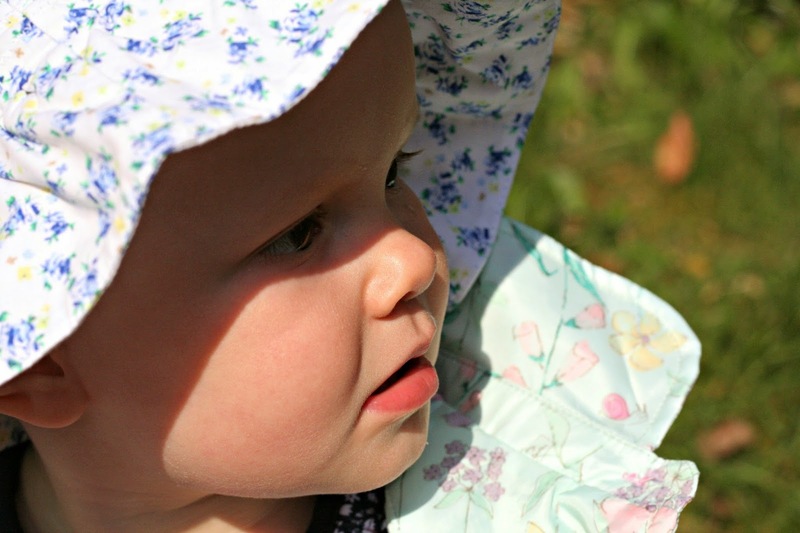 Wonderful sunny photos, I love Rosalie's summer hat the print is gorgeous! Their are always good moments, I need to try and see them more! 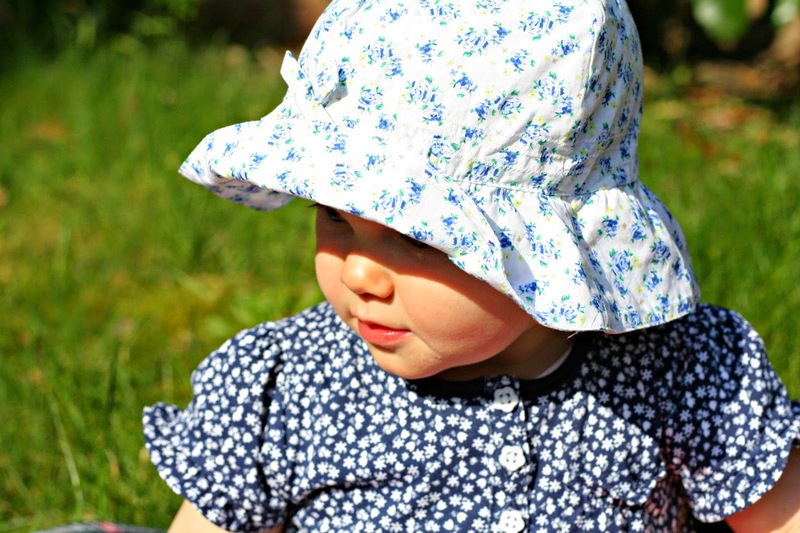 Sunshine is wonderful, not least because it means you can be outside and outside just never seems to get too small, or too noisy or too messy and so everyone is happy! !